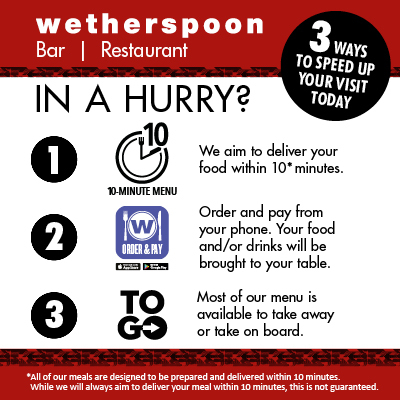 A JD Wetherspoon operated restaurant - The Turnhouse serves hot food and drink from 4am every day; the full breakfast menu is available until 12pm and the main menu is available all day. 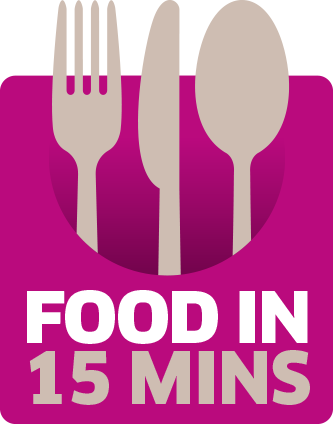 From fish and chips hand battered in site, to a wide selection of signature burgers, to vegetarian options, to a full kids menu, there is catering for all tastes and circumstances. Food is always served quickly, so it's a great place to stop and grab delicious, hot food before you go through security. There is also have a great range of lagers, spirits, real ales, and craft beers; with a large selection sourced from local Scottish brewers. The restaurant location allows you to sit and enjoy your meal while keeping an eye on security and your flight times with two flight screens provided within the restaurant.